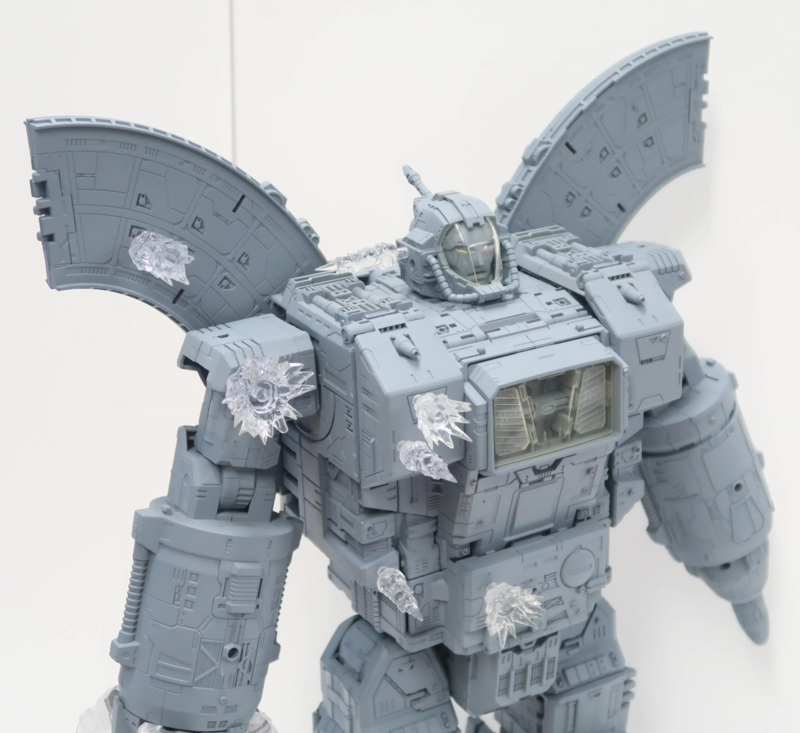 Not too long ago, there was an interview with John Warden where he spoke about the design work for the upcoming War for Cybertron Siege Omega Supreme. Well now, courtesy of Hasbro Pulse, we have the 2nd part to that interview, which includes some more details on how the figure got all the technical details as well as a size comparison to the Combiner Wars Devastator toy, who is pretty much dwarfed by his rival. Between the G1 show, comic books, previous Omega Supreme figures—how did you decide on the design for this figure? We had a couple of big meetings between Takara Tomy and Hasbro. I still recall a moment when I think Hasui-san came here to the United States and he brought a cut-out standee of the character based on the G1 cartoon style. Fans of the cartoon know that it’s simplistic, with a lot of smooth surfaces, and the proportions are slightly different. They’re subtle, but noticeable differences. When we looked at that collectively as a team, our pushback was to have more of that concept art feel to it, with a lot more surface details to make it feel sophisticated and detailed, because the rest of the Siege line is covered with lots of little details that aren’t really evident in the G1 cartoon series. Hasui took that information back to Japan and worked with the designer, Kunihiro-san, who is a big fan of putting lots of detail into things – he really ran with this direction. He’s a scale modeler and is one of the original Transformers designers who worked on Star Saber, and some of the legendary characters from the late 80s and early 90s. We blended the world of G1 and the more concept art feel and brought to life this new style that is detailed and has lots of panels and extra pieces that weren’t there before. One of the biggest challenges from an aesthetic standpoint is how do you not disappoint the G1 fans, but also continue to push the brand forward and keep it in line with the gritty, war-torn story that we’re telling with War for Cybertron: Siege. I’m really happy with the balance that we struck between the two – it hopefully satisfies the G1 fans, but it also pushes us into a cool new place for fans that are starting to collect this new Cybertron universe. Once you’ve decided, “OK, we’re doing a massive two-foot Omega Supreme figure”, what comes next? What’s the process like? How do we get from an idea to final product? We start with determining scale. How big is it, how big can we afford to do for the price point and still provide a good value to the consumer? What is the list of priority things we want to do? And then Takara Tomy comes back and they provide an early idea of their vision and how it’s going to convert. Kunihiro would put together loose sketches on graph paper, figuring out all the major geometry of the figure. They come back to us with a proposal of the basic forms and we will provide extra reference on detail. Sometimes we’ll work with commissioned artists from around the world to bring a level of finish to it. Takara will take that and work with their model makers, taking some of the detail illustrations and build it into the 3-D model. The 3-D model then allows them to test the conversions and identify any part interference. We go back-and-forth on a number of parts, details, and sketch in different areas -- “change this,” “make this piece bigger,” “make this piece smaller.” And then once we’re all in agreement, a gray model is created – this is the exciting part! 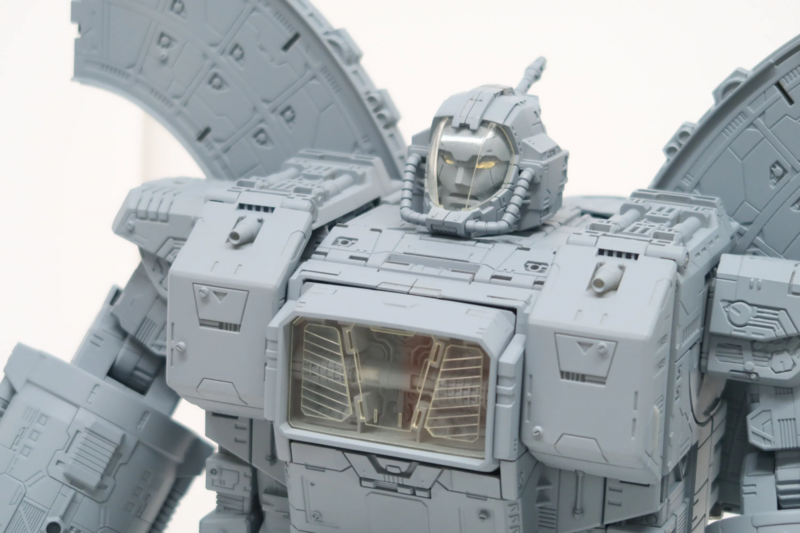 Takara Tomy will create this literal, gray, one-of-a-kind prototype Transformer and they’ll send us a video – it’s always on this black, rotating platter – and they’ll slowly rotate the figure so we can get a sense of how big it is. With Omega Supreme…he was so big that his feet were hanging off the platter. As it rotates around, they stop the video and show how he converts. From that point, Takara Tomy puts it into production with the factory and we’ll start to see prototypes coming in. Simultaneously, we work here in our Rhode Island office to create what’s called a deco sheet where we spec out the molded colors, determine how many paint operations there are, and then try to bring that to life. I work with a model artist here to create a painted prototype. This is the stage when the stars start to align. We’ll send that same deco spec to the factory; the factory will start to generate painted samples and then we’ll start to test out the joints and any QA concerns. We work closely with engineering at this point, to make sure all of the pieces are working properly. After all this, we then get to reveal the figure to the fan at big events like the Entertainment Brand Preview event this past weekend in New York, and we have a chance to meet with fans and hear what they have to say. And then the whole process begins all over again with a new Titan character! It IS a lot of work! Honestly, it takes months and months to do it, but it’s an incredible job and it’s great to be able to take something you’re passionate about and make toys for fans and work with awesome writers, creatives, engineering teams and stuff. We’re all fans and and we dig it. It’s a great job to do, it’s a ton of work, but it’s incredibly satisfying when a fan comes up to you, and you talk to them for an hour at a convention about how this toy really captures something for them – it is really something special. You come to realize that you’re doing more than just designing toys; you’re creating memories and you’re creating moments for people that they can spend with their kids, or they can spend bringing to life a battle on their shelf. It’s more than just a toy, it’s something so much more. I think that’s what I like so much about it. 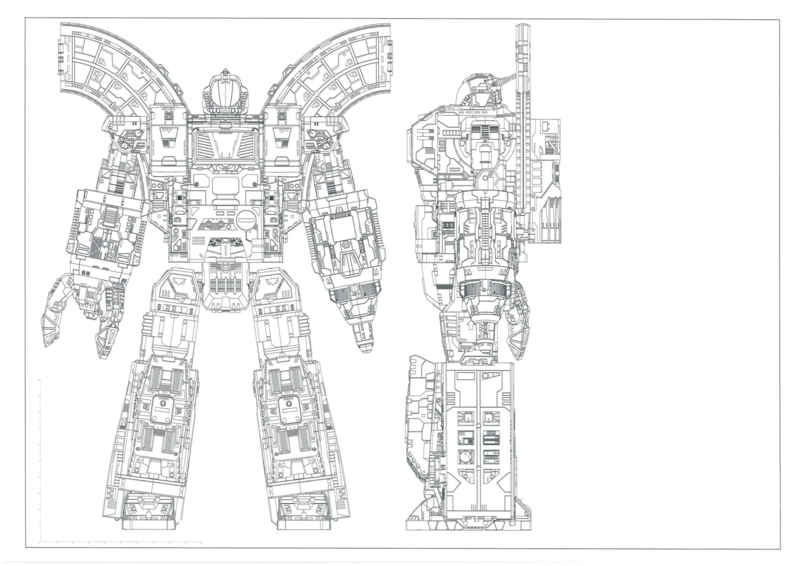 This has been Hasbro Pulse: Behind the Design with John W. Hope you enjoyed this deep dive into the War for Cybertron: Siege Omega Supreme figure. 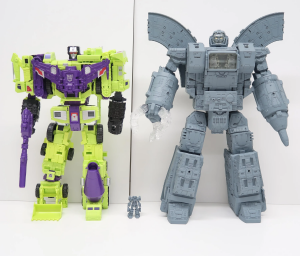 D-Maximal_Primal wrote: Well now, courtesy of Hasbro Pulse, we have the 2nd part to that interview, which includes some more details on how the figure got all the technical details as well as a size comparison to the Combiner Wars Devastator toy, who is pretty much dwarfed by his rival. I wouldn't say that Omega Supreme "dwarfs" Devastator. He's just about a head taller, really. The height measurement of 24 inches that Hasbro is advertising is obviously referring to the wings on the back, which add a few inches in height. In terms of cartoon scale, again, looking at the height of the heads, this is actually pretty spot on. Totally agree. Personally, I think the scaling is perfect! 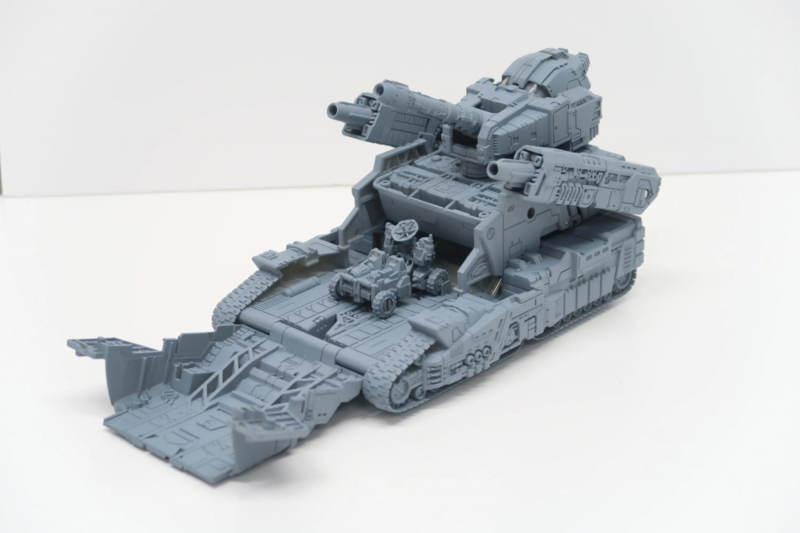 Looks like it will scale well with my Jinbao Devastator. Omega is going to look even nicer next to the better colored UW Devastator. I work with a model artist here to create a painted prototype. So glad he said this. There's certain people that would insist that once the figure gets to this point it's no longer a prototype, but they absolutely are, everything pre-production is. Warden saying it himself makes me feel a little vindicated. Ironhidensh wrote: Soundwave is one of the better Generations figures made in a long time. I had a lot of fun tinkering with his lamp post mode. I could never settle on anything else to do with his arms, but I did change the legs up from the official configuration. Speaking of, lamp post mode is an intended bonus as there are pegs that hold his arms only in this mode. Is the lamp post mode official? I have to admit I'm liking it. Black Hat wrote: So here's a funny question- what non-Siege figures do you guys think would "supplement" this line well? I can actually see a lot of the old BM Vehicon toys making very good cannon fodder (for either side with some stickers, depending on individual colours and designs). I can confirm that this is true, and its the primary reason I went on a Vehicon ebay-shopping spree after Christmas. Mega-class Tankors look great with Siege Megatron. Deluxe Jetstorms look cool with Shockwave if you can put them all on flight stands. I do love the Cybertron Scrap Metals. I think they work nicely as Cybertronian wildlife. Cybertron red Starscream repurposed as Thrust. Lamp post mode is revealed on the box with a black light. There was a news article here about it a while back. It is definitely official. H- What? Combiner limbs? Wh- how? When? Bu- wha- ho- why? WHAT!? 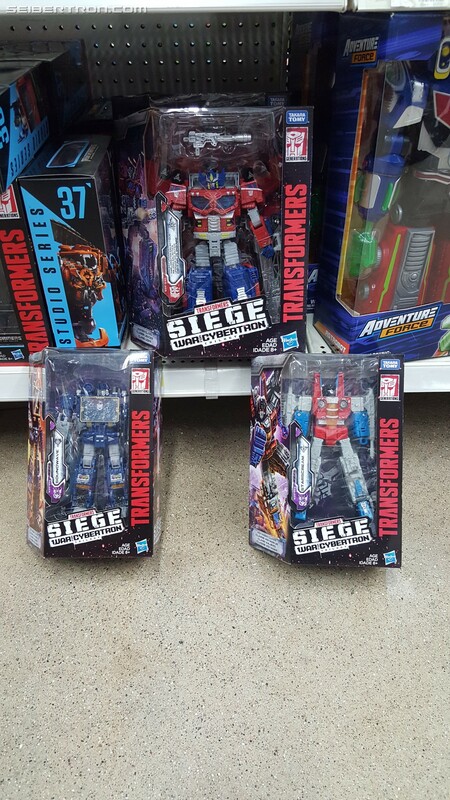 Great news, Siege leader Cybertron Optimus Prime has been found in the US. he was found at a Walmart in Midland, MI. This toy is a heavy retool of leader Ultra Magnus. The figure's actual name is Galaxy Upgrade Optimus Prime, meaning this is still technically a G1 Optimus Prime figure, simply in an upgraded form, but that is merely the toy's bio and most fans see this as a Classics version of Cybertron / Galaxy Force Optimus Prime. He retails for just shy of $50 USD. 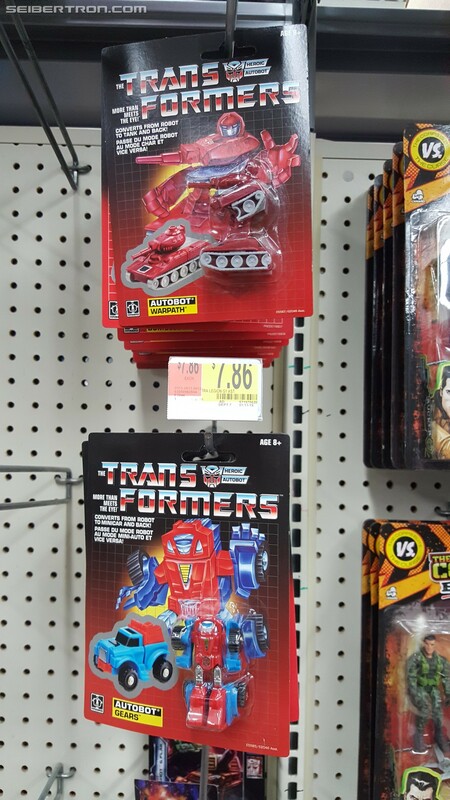 This sighting was sent to us by Manleybot who also spotted the latest Siege voyagers, Soundwave and Starscream, as well as the latest G1 minibot reissues, Warpath and Gears. If you have found any of these, share your sightings with our community in the sightings section and on our boards in your region related thread. We're getting two it looks like: Greenlight and Lancer, but exclusives and based on PotP Moonracer/Novastar. They go with Elita-1 to form Orthia instead of the mixed Elita-Infin1te. william-james88 wrote: Great news, Siege Leader Cybertron Optimus Prime has been found in the US. he was found at a Walmart in Midland, MI. This toy is a heavy retool of leader Ultra Magnus. The figure's actual name is Galaxy Upgrade Optimus Prime, meaning this is still technically a G1 Optimus Prime figure, simply in an upgraded form, but that is merely the toy's bio and most fans see this as a Classics version of Cybertron / Galaxy Force Optimus Prime. WHAT. That's...out of order for one thing, which bothers me slightly, but also he's here already?! Aren't the preorders for him due in July? I think he was expressing confusion over how those CW boys were incorporated into that "Maximus Magnus", not anything about the line's releases. Turns out, Combiner Wars combiner pegs fit very snugly into the prime master sockets of POTP combiner hands, so your combiner limbs are now 5mm compatible. Just Got Leader Ultra Magnus...this must be a revision in the cases. Cool I will try to find one ASAP. 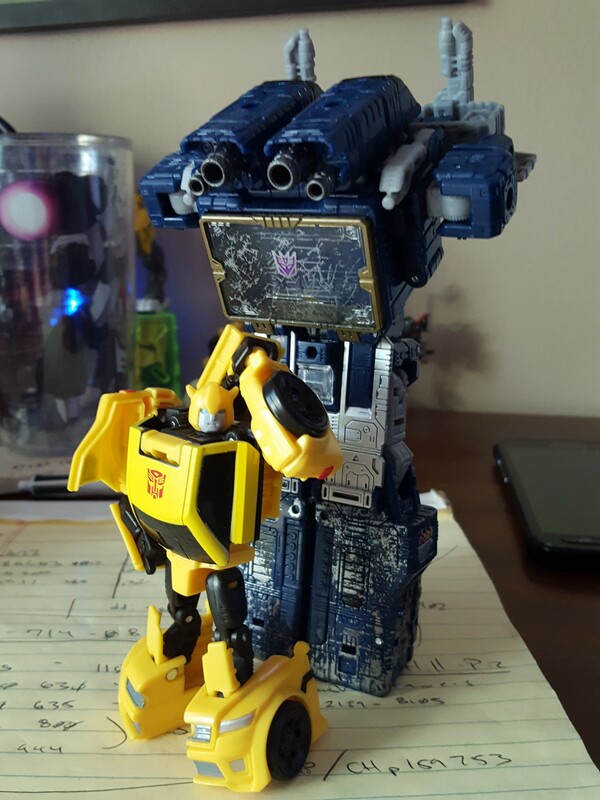 Seeing how the base model Prime is in the IDW comic I want I want I want!!! Have you seen the bulk to Omega? It's not just the height difference, which is about 6" to the top of his rails, but also how much more bulky he is. I found Soundwave and Starscream in a Walmart near my realm. But not "Galaxy" Optimus. Given all the other OP's I've had to review so far, I'd just as soon take a break from him for a while. And yeah - I don't classify Omega Supreme's wing-dings as being part of his 'height'. Otherwise, I could make TR Trypticon even taller than Omega by taking the tower/backpack section, extending the guns from them, and turning them so they point up. If I find him in store I'll buy him and not wait for the July 1st pre order. Unless you think Pulse and Amazon will have Prime in earlier. I got Sixshot today. Haven’t messed with the weaponizer gimmick yet, but he makes an awesome Goblin Glider. RodimusConvoy13 wrote: I got Sixshot today. Haven’t messed with the weaponizer gimmick yet, but he makes an awesome Goblin Glider.